Mattéo Guendouzi Olié (born 14 April 1999) is a French footballer who plays as a midfielder for Premier League club Arsenal and the French under-20 team. He started his career at the academy of Paris Saint-Germain. Guendouzi left Paris to join Lorient’s academy in 2014. After representing the Lorient B side he graduated to the first team in 2016. He made his debut for Lorient on 15 October 2016, in the Ligue 1 match against Nantes in a 1–2 defeat. Guendouzi played nine times in all competitions, during his debut season of 2016–17 as Lorient were relegated to the second tier at the end of the season. In the 2017–18 season he featured 21 times for Lorient as they missed out on promotion, finishing seventh in Ligue 2. On 11 July 2018 during the summer transfer window, it was announced that Guendouzi had joined Premier League team Arsenal for an undisclosed fee, believed to be in the region of £7m plus bonuses. Head coach Unai Emery said “We are delighted Matteo is joining us. He is a talented young player and a lot of clubs were interested in him. He has big potential and gained good first-team experience last season with Lorient. He wants to learn and improve and will be an important part of our first-team squad”. Upon joining the club, Guendouzi was given the number 29 shirt, previously held by Granit Xhaka, who took the number 34 shirt, following the departure of Francis Coquelin, the previous season. On July 28th, he made his second debut in a friendly match against his former club Paris Saint Germain in Singapore. He started the game, impressed and helped his team to beat Paris Saint Germain 5-1. 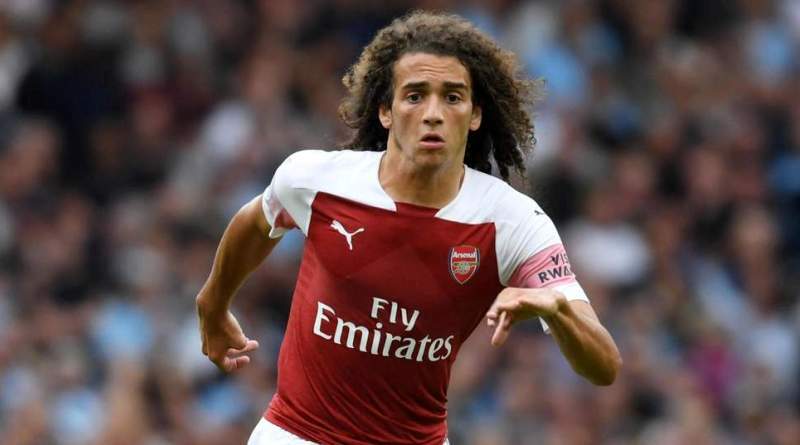 On 12 August 2018, Guendouzi made his Premier League debut in Arsenal’s opening fixture of the season against defending Champions Manchester City where he made 72 touches, the most for his team. They lost the match 0-2. Guendouzi was born in a suburb of Paris, France. He has represented France at levels up to France U20s. With partial Moroccan heritage, Guendouzi was approached by Morocco manager Hervé Renard in 2017 to change allegiances to play for the Morocco national team. However after Guendouzi’s father met Renard in March 2017, Guendouzi decided to remain and pledge allegiance to France.